Excludes taxes, title, and license. $3,999 initial payment required at consummation. (Includes $3,480 consumer down payment, $349 first month payment.) (INCLUDES $3,975 manufacturer's rebate applied to $349/Month lease. Offer valid only when financed through Nissan Motor Acceptance Corporation.) Subject to residency restrictions. 2019 Armada SV 4x2 with Floor Mats Lease model 26119 subject to availability to well-qualified lessees through Nissan Motor Acceptance Corporation. $48,810 MSRP incl. destination charge. Net capitalized cost of $38,980 includes a $595 non-refundable acquisition fee. Dealer contribution may affect actual price set by dealer. Monthly payments total $8,376 At lease end, purchase for $33,679, plus purchase option fee up to $300 (except KS & WI), plus tax, or pay excess wear & use plus $0.25 per mile for mileage over 10,000 miles per year. Lessee is responsible for maintenance and repairs. A disposition fee is due at termination of lease term. No security deposit required. Must take delivery from new dealer stock. See participating dealer for details. Offer ends 04/30/2019. Excludes taxes, title, and license. $4,399 initial payment required at consummation. (Includes $4,100 consumer down payment, $299 first month payment.) (Offer valid only when financed through Nissan Motor Acceptance Corporation.) Subject to residency restrictions. 2019 Murano S FWD with Splash Guards, Floor Mats and Cargo Mat lease model 23119 subject to availability to well-qualified lessees through Nissan Motor Acceptance Corporation. $32,745 MSRP incl. destination charge. Net capitalized cost of $27,756 includes a $595 non-refundable acquisition fee. Dealer contribution may affect actual price set by dealer. Monthly payments total $10,764. At lease end, purchase for $18,337, plus purchase option fee up to $300 (except KS & WI), plus tax, or pay excess wear & use plus $0.15 per mile for mileage over 12,000 miles per year. Lessee is responsible for maintenance and repairs. Disposition fee due at termination of lease term. No security deposit required. Must take delivery from new dealer stock. See participating dealer for details. Offer ends 04/30/2019. Excludes taxes, title, and license. $4,699 initial payment required at consummation. (Includes $4,500 consumer down payment, $199 first month payment.) (INCLUDES $1,200 manufacturer's rebate applied to $199/Month lease. Offer valid only when financed through Nissan Motor Acceptance Corporation.) Subject to residency restrictions. 2019 Rogue S AWD with Splash Guards, Floor Mats and Cargo Area Protector Lease model 22019 subject to availability to well-qualified lessees through Nissan Motor Acceptance Corporation. $27,765 MSRP incl. destination charge. Net capitalized cost of $21,471 includes a $595 non-refundable acquisition fee. Dealer contribution may affect actual price set by dealer. Monthly payments total $7,164 At lease end, purchase for $14,438, plus purchase option fee up to $300 (except KS & WI), plus tax, or pay excess wear & use plus $0.15 per mile for mileage over 12,000 miles per year. Lessee is responsible for maintenance and repairs. A disposition fee is due at termination of lease term. No security deposit required. Must take delivery from new dealer stock. See participating dealer for details. Offer ends 04/30/2019. Excludes taxes, title, and license. $2,899 initial payment required at consummation. (Includes $2,660 consumer down payment, $239 first month payment.) (INCLUDES $1,050 manufacturer's rebate applied to $239/Month lease. Offer valid only when financed through Nissan Motor Acceptance Corporation.) Subject to residency restrictions. 2019 Altima 2.5 S with Splash & Mats Lease model 13119 subject to availability to well-qualified lessees through Nissan Motor Acceptance Corporation. $25,210 MSRP incl. destination charge. Net capitalized cost of $20,895 includes a $595 non-refundable acquisition fee. Dealer contribution may affect actual price set by dealer. Monthly payments total $8,604 At lease end, purchase for $12,857, plus purchase option fee up to $300 (except KS & WI), plus tax, or pay excess wear & use plus $0.15 per mile for mileage over 12,000 miles per year. Lessee is responsible for maintenance and repairs. A disposition fee is due at termination of lease term. No security deposit required. Must take delivery from new dealer stock. See participating dealer for details. Offer ends 04/30/2019. Tim Dahle Has What You need! Dixie and Ben went above and beyond to help me with a repair that Nissan had to assist with I recommend them to anyone who needs work done on their Nissan. They truly want to take care of the customer and not just do something for extra money. Kevin Vrooman was the person who handled the repair of the transmission and other parts on my car. He absolutely went above and beyond in his customer service, and worked very hard to ensure that I felt comfortable and understood the issues with the transmission and the exact repairs that were being made. He kept me updated every step of the way and worked hard to ensure that the repairs being done were in fact covered by my warranty. He even went through my warranty paperwork with me to double check! In addition to that, he also made good on a free oil change that I was due when I purchased my car, which the Nissan dealership in Murray had, strangely, tried to charge me for. Again, he was very thorough with double checking paperwork and made right on things that had been previously overlooked. Thank you Kevin! You've put my mind at ease and my car back on the road! You deserve a raise!!! Worst Dealership Ever! Okay, where do I start....the experience with their sales people was frustrating. We didn't want a lot of back and forth, just honest pricing....lol - not even close. We worked with a sales rep that just couldn't even keep our story straight and we had to explain our situation, trade in, and the car that we wanted over and over and over again.After being called back for the 3rd time over a week they said we could make a deal that is close to what we could afford. Yay - we thought - After owning the car for just over 2 months and paying a "Shop Fee" for needed repairs on the car - 1. New Transmission ($4000) 2. Leaky Differential ($350) 3. Bad engine fans ($800) 4. Bad wheel bearing ($350) 5. Driving lights burned out - $200 - all in all over $6000 in repairs - What a #%#$%#$% Joke!!! Don't trust a word they say and a car that they sell - only in it for the money and not trustworthy at all, just the bottom line. Purchased a 2015 QX60 for $24500 OTD - we were well taken advantage of and will never go back or think of them ever again.Update - After posting our review, Grin, the sales manager, reached out to us to see what they could do to help us out. Luckily a majority of the work that needed to be done was under warranty and they graciously agreed to split the out of pocket cost with us. We appreciate their willingness to reach out and help us out with some of the financial burden. Thank you Grin, it is much appreciated. After the purchase of my Nissan Titan XD there was a little hickup in the process. Grin worked with me to get the issue resolved and was extremely friendly and helpful in the process! Would recommend working with him to anyone, really helped the whole post buy process. Its nice to see that someone is willing to help even after they have completed the sale! If you’re prepared to appreciate the advantages of a like-new vehicle, at some point you ought to investigate our used Nissan stock of cars! We have pre-owned auto specials, cars under $10,000, and that’s only the tip of the iceberg. You can discover a pre-claimed hatchback, SUV, or a vehicle. Drivers nearby Bountiful, UT adore the choice of Nissan autos accessible on our part. Pre-owned or pre-loved? You decide. Whether you pick a used or new Nissan, you can always access amazing automotive services! Our service team is close to North Salt Lake, UT. We make it simple for you to plan your maintenance on the web. You can book oil changes and brake replacements with the click of a button, thanks to our team. Look at our service and parts specials near Bountiful, UT! If you’re worried about the price of a new Nissan vehicle, don’t be! Do we offer sensibly estimated vehicles, as well as financing alternatives? The answer is yes. Our automobile credit process is straightforward. 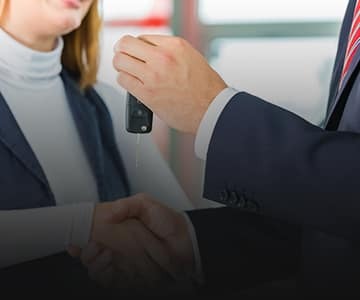 Potential car buyers can experience pre-approvals by filling out our secure form. Look at our renting and purchasing choices and talk about our second-chance loan opportunities. 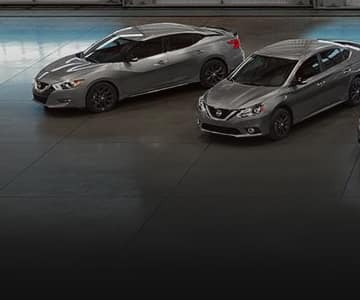 Shop our Nissan stock and sift through the different models we have. 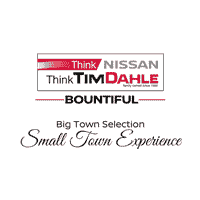 Drivers can look into the most recent Nissan sedans, trucks, and SUVs accessible close to North Salt Lake, UT. We make it simple to find parts, apply for credit, and schedule automotive maintenance in North Salt Lake, UT! We anticipate helping you with all things automotive in the Greater Bountiful area, so please keep in touch! You require genuine automotive parts to keep your vehicle in a stable condition. If you’re hoping to keep your vehicle for forever, you’ll definitely need access to authentic car parts. 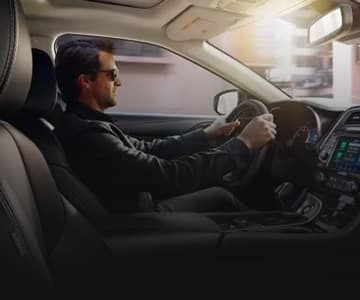 Investigate the city of Bountiful, UT from the front seat of your new Nissan car, knowing you can order parts online whenever that you want.